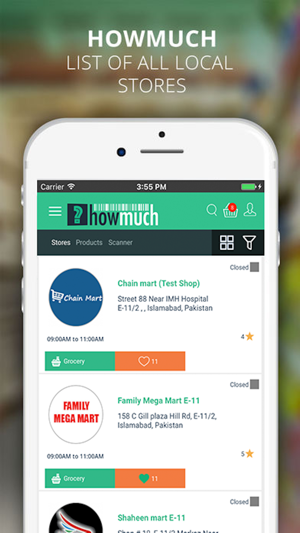 HowMuch Shopping is an online shopping App aimed at connecting millions of buyers and sellers specifically in Pakistan. The main purpose is to facilitate both the sellers and the buyers in order to get them the best deals. The Buyers would find a wide range of product categories in order to enjoy the best online shopping offered in the market. 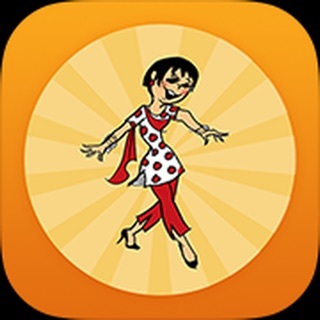 It lets them compare prices of different stores, make them, satisfied regarding getting the best deal. 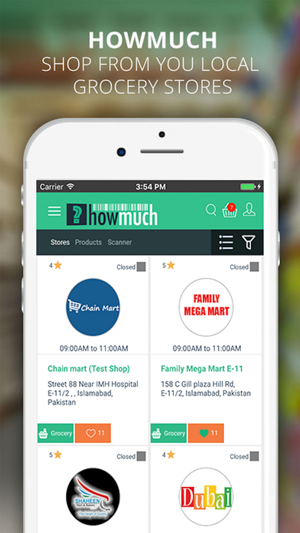 They can Shop by store or Shop by product, HowMuch Pakistan will revolutionize the way people shop. 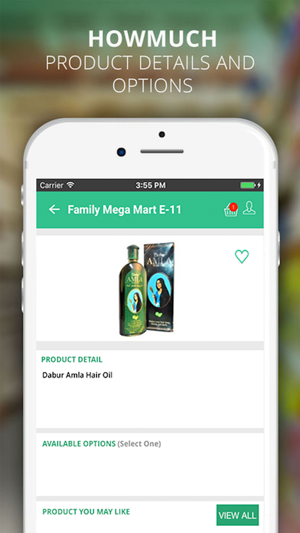 The application allows shops a backend interface through which they can manage their shop profile, including products available for purchase that user can order using our mobile application. Once the order is made, the shopkeepers are notified via email as well as SMS, for order confirmation. 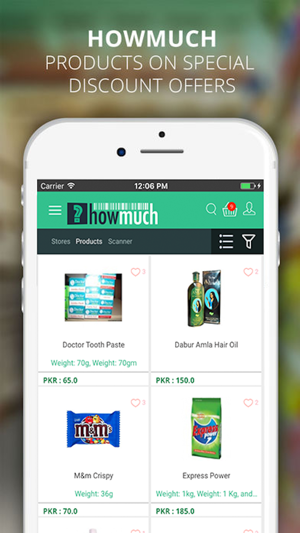 The HowMuch.pk application allows user to look-up prices of various local and imported products as well as order/buy from stores in their vicinity. Men's Fashion: clothing, eyewear, accessories, shoes. 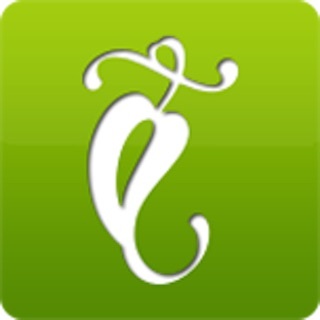 Jewelry & Watches: watches and jewelry for men, women and kids. 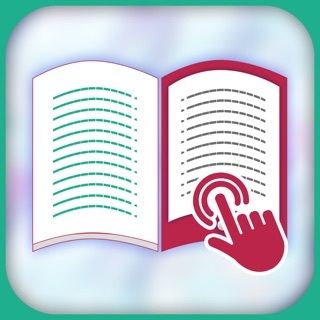 Mobiles & Tablets: smartphones, tablets, headphones, powerbanks, memory and SD cards. Health & Beauty: healthcare, bath & body, nail care, perfumes & cologne, skin care, personal care. Sporting Goods: articles for fitness combat, water, indoor our outdoor sports. Home & Living: furniture, home improvements, bathroom, decor, kitchen & dining, garden, lighting. Kids & Babies: fashion, school supplies, gifts, nursing & feeding, furniture. Books, Arts & Entertainment: hobbies & creative arts, party and celebration, book, music, movies, games, toys, ticketing. Computers, Laptops & Gaming: computer, laptops, accessories, monitors, printers & scanners, video games & consoles, softwares. Tvs, Appliances & Cameras: TVs, cameras, MP3 players, household appliances, grooming appliances, kitchen appliances. Food & Beverage: prepared food, bakery, candies, fruit & vegetables, seafood, snacks and more. Foodnerd - Food is Social!